Students at Seattle Colleges on city-funded scholarships would also get the unlimited, year-round passes. They’d be able to use the passes to travel to and from school, jobs and other activities. During her first State of the City address Tuesday, Seattle Mayor Jenny Durkan will announce a plan to provide free transit passes to all public high-school students by next fall. “At a time that our city is becoming increasingly unaffordable for families, we need to make transit more safe, accessible and affordable, especially for our young people,” Durkan said in a statement. More than half of Seattle Public Schools high-school students now have access to free ORCA passes. The school district provides school-year passes to about 7,000 high-school students who live more than 2 miles from school, and the city funds passes for an additional 2,600 high-school students from certain low-income households, according to Durkan’s office. Under Durkan’s plan, all of the district’s roughly 14,000 high-school students would for the first time get unlimited, year-round passes, the mayor’s office said. So would students attending Seattle Colleges on city-funded scholarships. They’d be able to use the passes to travel on public buses and light-rail trains to and from school, jobs and other activities. Durkan’s expansion would cost about $4.8 million in its first year, with $3.8 million coming from the Seattle Transportation Benefit District and about $1 million from King County Metro, according to her office. For its initial year, the plan doesn’t require votes by the Seattle City Council or Metropolitan King County Council, the mayor’s office said. 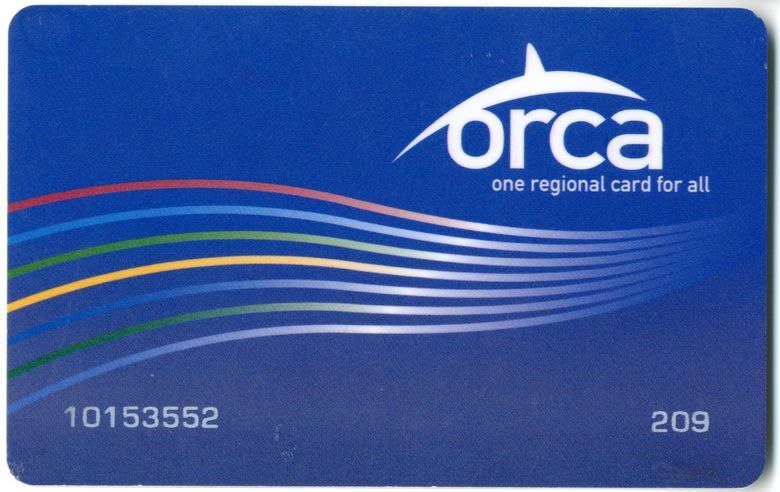 The students’ ORCA passes would cover trips on Metro, Sound Transit, King County Water Taxi, Seattle Streetcar, Community Transit, Pierce Transit, Kitsap Transit and Everett Transit systems. Metro’s regular youth fare is $1.50. Seattle Public Schools provides yellow-bus service for about 12,000 elementary and middle school students and to high-school students in special-education programs whose individualized education plans require it. The city began funding passes for some low-income students in 2016, after students from Rainier Beach High School, where Durkan will deliver her speech Tuesday, lobbied for the assistance. They staged marches and town-hall meetings, pointing out that students have important reasons to take transit even when they live within 2 miles of school, such as health issues and concerns about walking through neighborhoods with high crime rates. Seattle City Councilmember Rob Johnson is supporting Durkan’s proposal. “As a city, we are committed to combating climate change, increasing economic opportunity and decreasing housing costs,” Johnson said in a statement. During her campaign last year, Durkan said she would explore options to make bus fare free for all people under 18. Cary Moon, whom Durkan defeated in November’s election, said she would provide ORCA passes to all Seattle Public Schools students under 18. Moon attributed that idea to Nikkita Oliver, who finished third in the August primary.